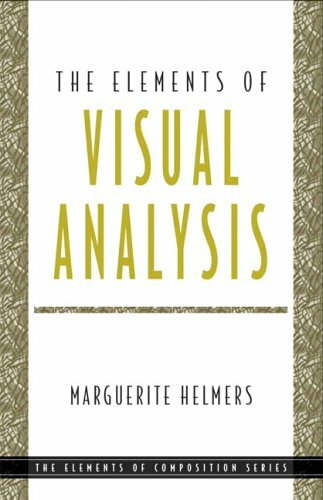 The Elements of Visual Analysis introduces students to the essential techniques and critical terms for analyzing and writing about visual culture. Using a combination of images, readings, and extensive definitions, this book develops students' skills in analyzing two- and three-dimensional visual artifacts and experiences. Designed primarily for courses in composition, rhetoric, and communications, The Elements of Visual Analysis will also fit any disciplines interested in engaging in serious analysis of visual phenomena. Book jacket. Writer at Work: "Photographs, Writing, and Critical Thinking"
Image: "Ready for Sabbath Eve in a Coal Cellar, A Cobbler on Ludlow Street"
Writer at Work: "Telling Tales on Canvas: Landscapes of Frontier Change"
Rereading "Telling Tales on Canvas"
Writer at Work: "Sacred Ground: Americans and Their Battlefields"
Writer at Work: "The Dark Side of Landscape"